From advancing state-of-the-art processes in the semiconductor industry to developing computer software for simulating exotic phenomena, physicists are helping to expand the frontiers of both basic science and advanced technology. 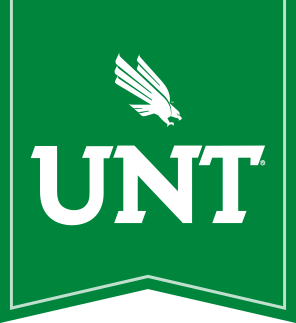 What kinds of Physics degrees does UNT offer? Bachelor of Science in Physics (BSP) prepares a student to begin a research career by providing the basis (a solid core of upper-level coursework with research hours) for more advanced study in a graduate program. Bachelor of Arts (BA) provides the same introductory physics coursework as the BSP degree, but has more flexibility in its upper level physics requirements for student's wanting to obtain a 2nd degree or concentration. Good plan for liberal arts/science minded students or the student planning on teaching high school. Why study Physics at the University of North Texas? UNT's experienced Physics faculty are actively involved in path-finding research. Our undergraduate physics students often participate in pathfinding research projects. UNT Physics student-to-teacher ratio is small; you will be more than just a number here. UNT Physics students find new friends and colleagues among fellow students in our active chapter of the Society of Physics Students (SPS). UNT Physics students have a wide range of available physics jobs while studying for their undergraduate degree. UNT Physics has a great lounge for physics students (with student computers) open all hours of the day. Physics is the study of the structure and interaction of matter and energy, and it plays a role in all aspects of our daily lives. As a physics major, you will study laws of mechanics and how objects move; thermal physics, or properties of heat and energy; principles of electricity and magnetism; mathematical methods of physics; physics of the atom and nucleus; quantum mechanics; and statistical physics. By majoring in physics at the University of North Texas, you can prepare for a career with aerospace and automobile manufacturers, computer software companies, electrical equipment manufacturers, engineering services firms, and independent research and development laboratories. The armed forces, the departments of Defense and Commerce, national laboratories and NASA employ physics graduates in research careers. As a physics major, you will have opportunities to work with a faculty member and graduate students on a project. You will gain research experience and may receive academic credit. Go to http://physics.unt.edu/Undergraduate­ Studies/ScholarshipOpportunities NOW to see if you are eligible for a department scholarship and how to apply! Applications for Fall 2016 - Spring 2017 Scholarships are due before 5:00pm CST on March 30, 2016.